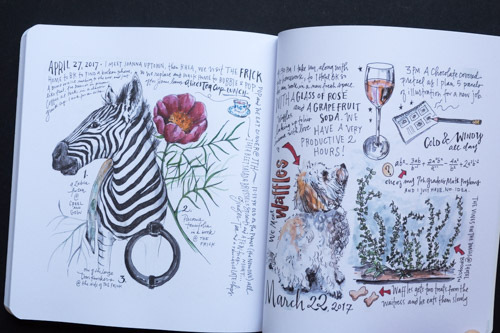 Artist and author Samatha Dion Baker is a full-time illustrator who likes to sketch in journals. 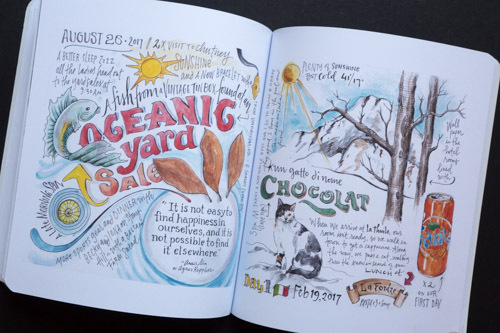 Her journal art on Instagram has a huge following. 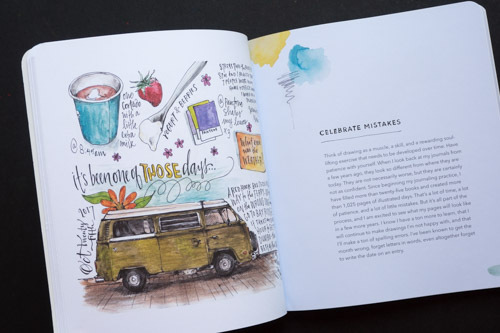 In this 144-page paperback, Baker hopes to inspire others to pick up this creative habit of keeping a sketch journal. 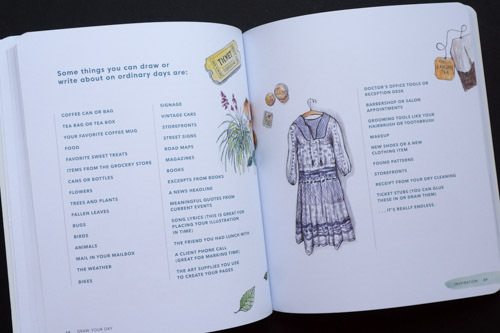 Draw Your Day is a collection of personal stories from her journey in art journaling. This is not an instructional book with step by step tutorials. 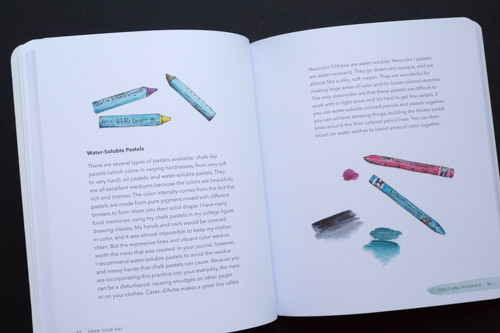 This is a book on where you can find the time to draw, the things you can draw, what tools you can use to mix up your style, and in summary, how to immerse yourself in art. The text is written in an encouraging tone. It doesn't really matter whether or not you have any drawing knowledge as long as you get started. 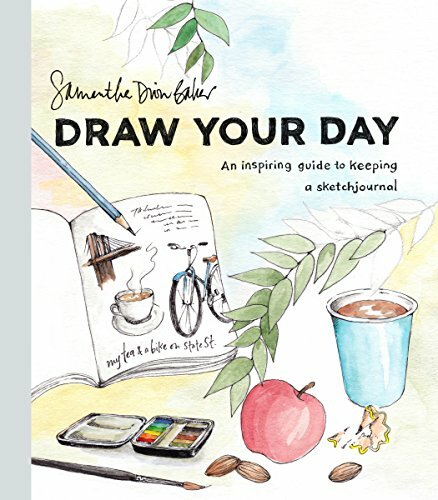 You can draw using the ideas provided, or you can get the Draw Your Day Sketchbook (blank) and draw there. 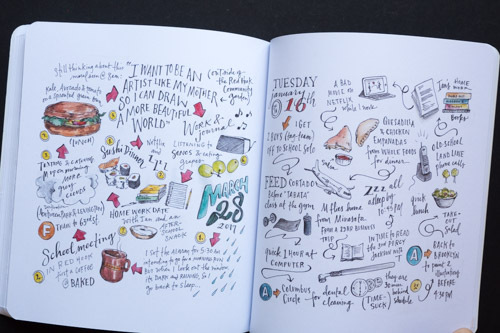 Sketching and journaling is a very meaningful hobby that anyone can get into. 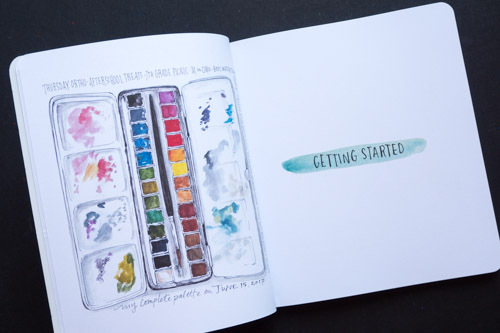 This is a good book that introduces you to the joy and fulfillment you can expect from keeping a sketch journal. 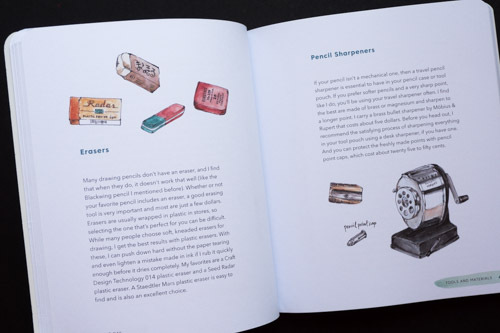 If you like this book, I recommend you also check out Sketch! 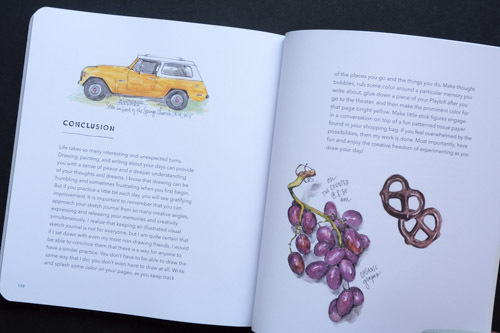 : The Non-Artist's Guide to Inspiration, Technique, and Drawing Daily Life, and other sketchbooks I've reviewed.